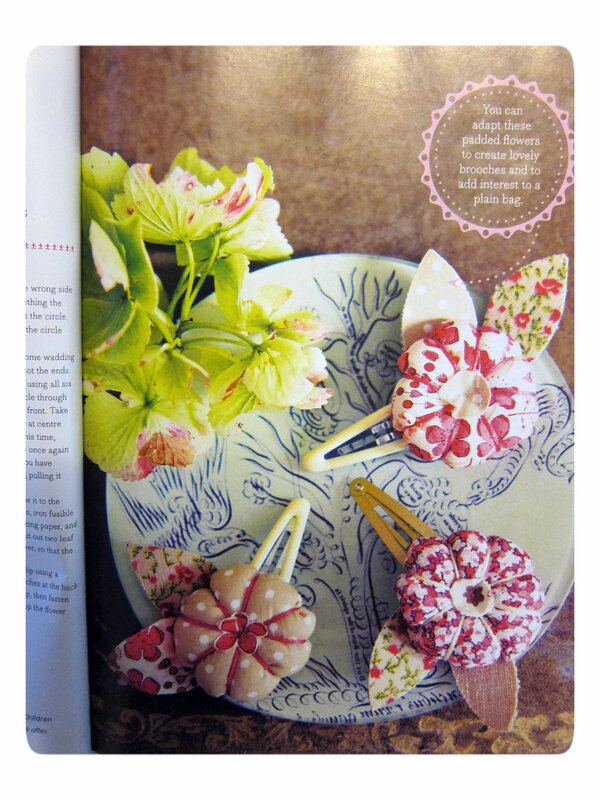 At the end of November, I bought the ‘Prima special Christmas Make‘ magazine. If it was full of great xmas projects (I pretty much made all of them), it also contained a few ideas that were not festivities related. One of them were these pretty hair clips. I don’t use hair clips so I first ignored this project, but when I thought lately about making a brooch, I came back to the magazine and thought I could follow the same steps to make brooches. So here I am with my new brooches. 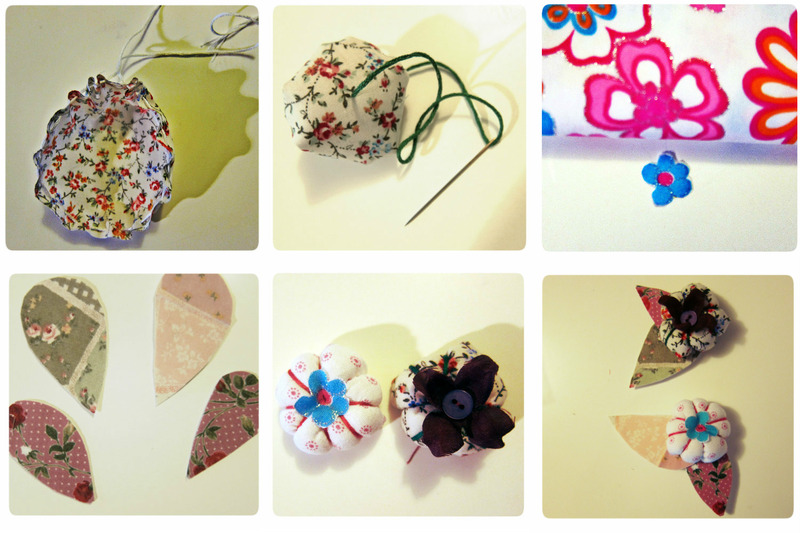 Making these brooches is pretty easy and only would take you about 30 minutes per brooch. 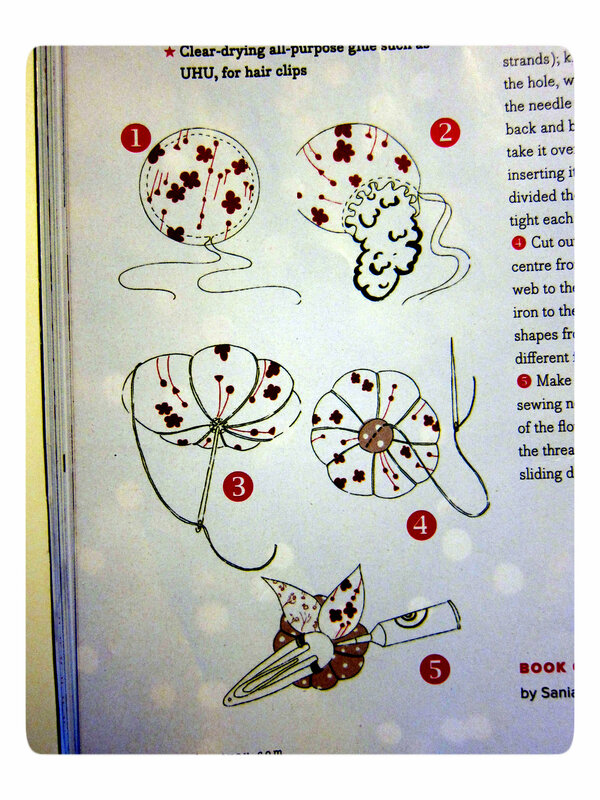 Draw a circle on the wrong side of the fabric you want to make the flower from, and cut the circle. Use your needle and the thread to sew running stitches around the circle, a few millimeters from the edge, leaving long ends then pull the ends together to gather up the circle. Fill the circle with wadding and then pull the threads tight and make a good knot. Now switch to an embroidery needle with a long piece of floss and make a knot at one of the end. Insert the needle into the padded circle through the hole (at the back) and bring it out at centre front. Take the needle over the edge and insert it again in the hole at centre back and bring it to the front again (pull it tight). This time, take it over th edge at the opposite side of the circle bef0re inserting it again at the back. Continue the same steps a few times until you have divided the flower in 8 equal segment. When you are done, secure the floss at the back. 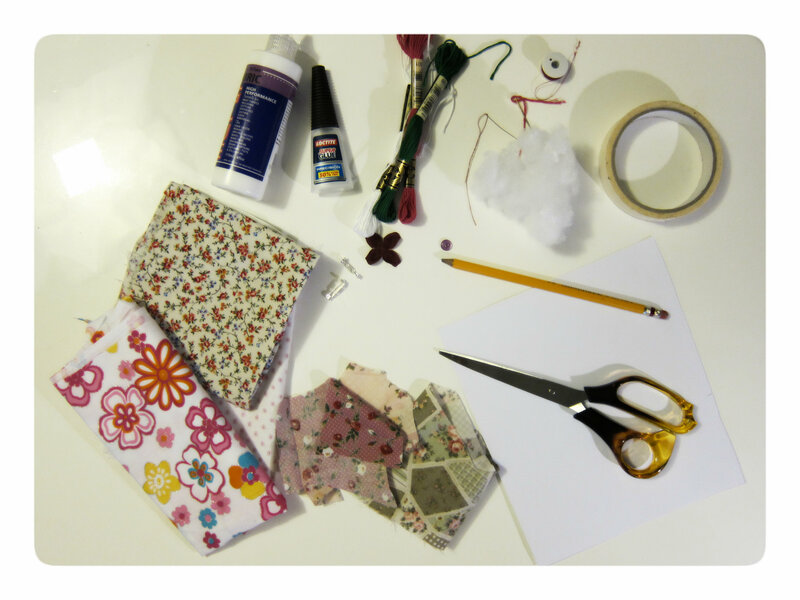 Cut a small flower from some other fabric scrap, or take a button or ready-made small fabric flower and sew it to the centre front. For the leaves, the magazine recommend to iron fusible web to the wrong side of some scrap fabric and use this to draw and cut leaves. As I currently don’t have any iron fusible, I used thick paper and pasted the fabric scraps on it. Sew or paste the leaves at the back of the flower. 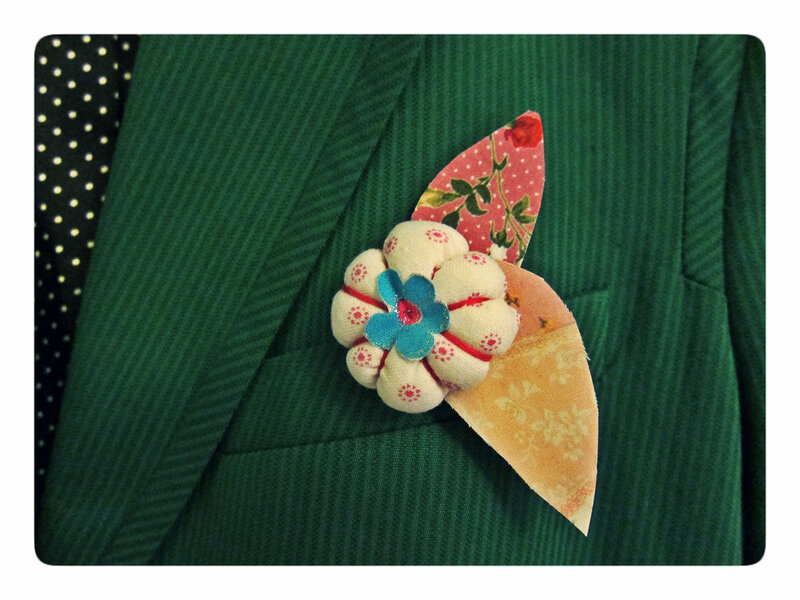 Sew/paste the flower to the brooch. And voila! 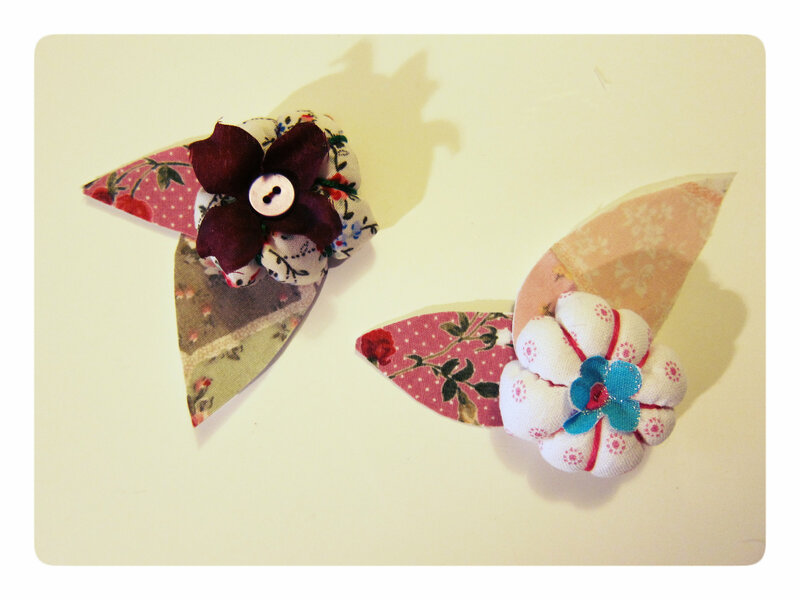 You have new brooches!